Here is another video tutorial! 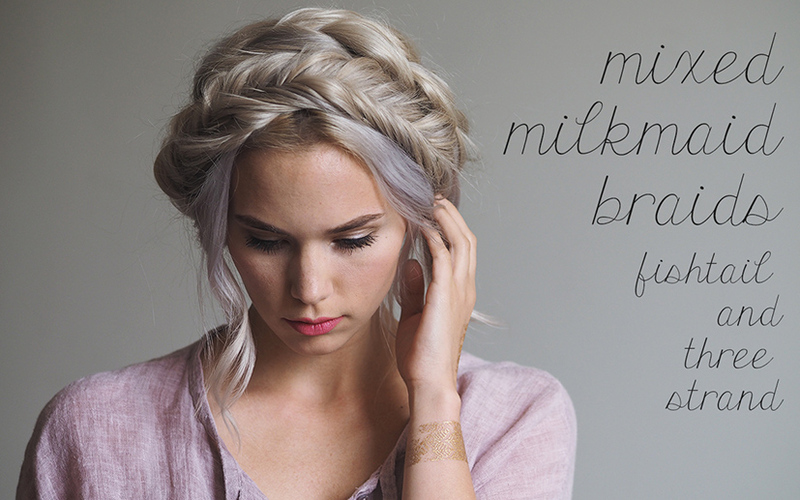 This time I did this mixed milkmaid braid that I posted a photo on instagram of a couple weeks ago! It is really just my go to way to do milkmaid braids but instead of doing two three strand braids or two fishtails I switched it up and did one of both! I know… I am sooo crazy ;) Hope you like it and if you have any questions please ask! !